As reported by The Tracking Board, Disney has enlisted the help of Kenneth Branagh (who recently directed Cinderella) to try and get its long-in-the-works adaptation of Eoin Colfer’s Artemis Fowl books moving again. Branagh is now attached to direct, and he’s also going to “develop the property” alongside an Irish playwright named Conor McPherson who will likely be writing the script. Tracking Board pitches the story as “Harry Potter meets Die Hard,” but that does a disservice to a clever premise that is barely like either of those things. 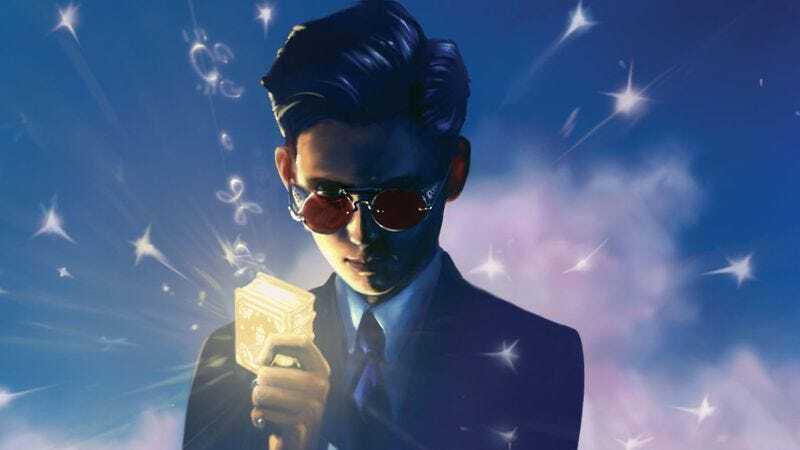 The books are about the eponymous Artemis Fowl, a wealthy boy genius who, admirably, decides to use his cleverness to steal gold from a civilization of fairies and other supernatural creatures. It’s a YA book series, though, so he’s not exactly a full-on supervillain, but he’s still not really a good guy. There’s also an elf named Holly Short and a bodyguard named Butler who is also a karate master, but to go into any more depth would require a ton of complicated backstory. It is, after all, a sci-fi/fantasy series of YA books. Complicated backstories come with the territory.